A basal cell carcinoma anterior to the medial canthus: Note the pearly margins and the central crater. The most common type of eyelid cancer is basal cell carcinoma. Most basal cell carcinomas can be removed with surgery. However, many older patients will try to ignore these slow growing tumors. However, it is important to know that when left untreated, these tumors can grow around the eye and into the orbit, sinuses and brain. Basal cell carcinomas are more commonly found on the lower eyelids and almost never spread to other parts of the body (metastasize). Patients with basal cell carcinomas most commonly notice a reddish nodule slowly forming on their eyelid. The tumor is most commonly found on the lower eyelid, followed by the medial canthus (skin toward the nose) and can occur on the upper eyelid. Eyelash loss (around the tumor) suggests that a basal cell carcinoma is malignant. Less commonly, basal cell cancers can be pigmented or present without any nodule at all. When the tumor does not make a nodule and grows within the eyelid, it can induce pulling of the eyelid (away from the eye). Doctors call this form of basal cell carcinoma “morpheaform,” which are much more difficult to cure because its edges are harder to define. Though small tumors can be photographed and followed for evidence of growth (prior to biopsy); once your eye cancer specialist suspects basal cell carcinoma, most eye cancer specialists will suggest tumor biopsy. This specimen is sent to the pathologist to confirm the diagnosis prior to complete removal or treatment of the tumor. Biopsies can be performed in the doctor’s office, or in the operating room prior to definitive treatment. Once the diagnosis is confirmed by the pathologist, treatment will be recommended. Wedge resection and Moh’s surgery require the surgeon continue to remove the tumor until the margins (edges) are negative (free of tumor). Unlike most skin, the eyelid are a complex functional apparatus that requires special reconstruction techniques. Most basal cell carcinomas are cured when they are small. 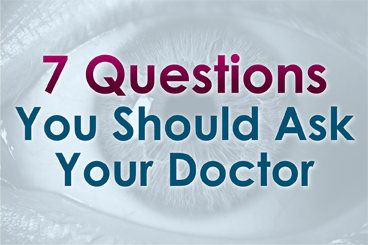 Unfortunately, some patients choose to ignore or deny the existence of these tumors. Those patients allow their tumor to invade behind the eye and become difficult or impossible to remove. In these cases, combinations of surgery, radiation and chemotherapy may be required to control or destroy the tumor.